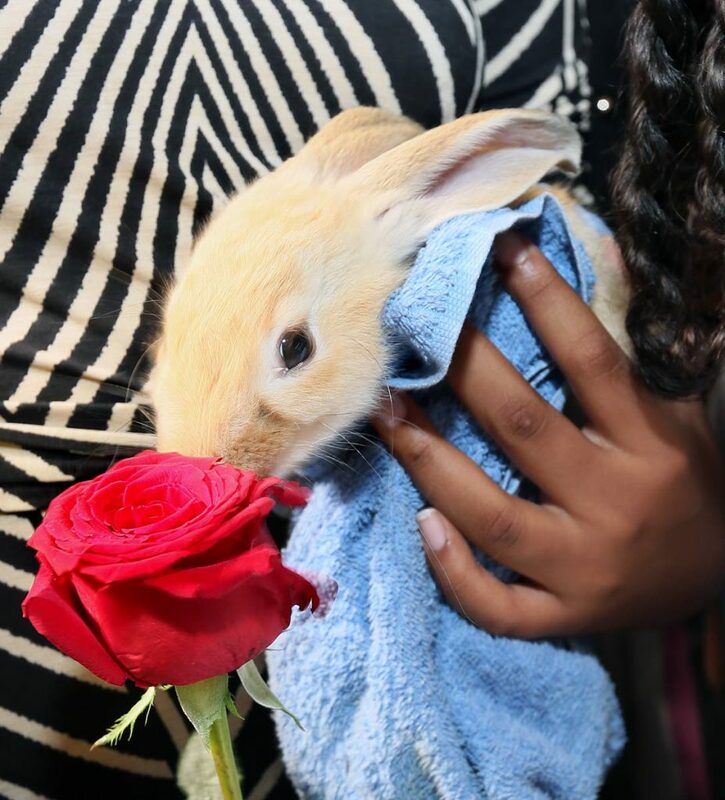 Daisy, the pet rabbit daintily sniffed some roses which were placed on her mistress’ casket. 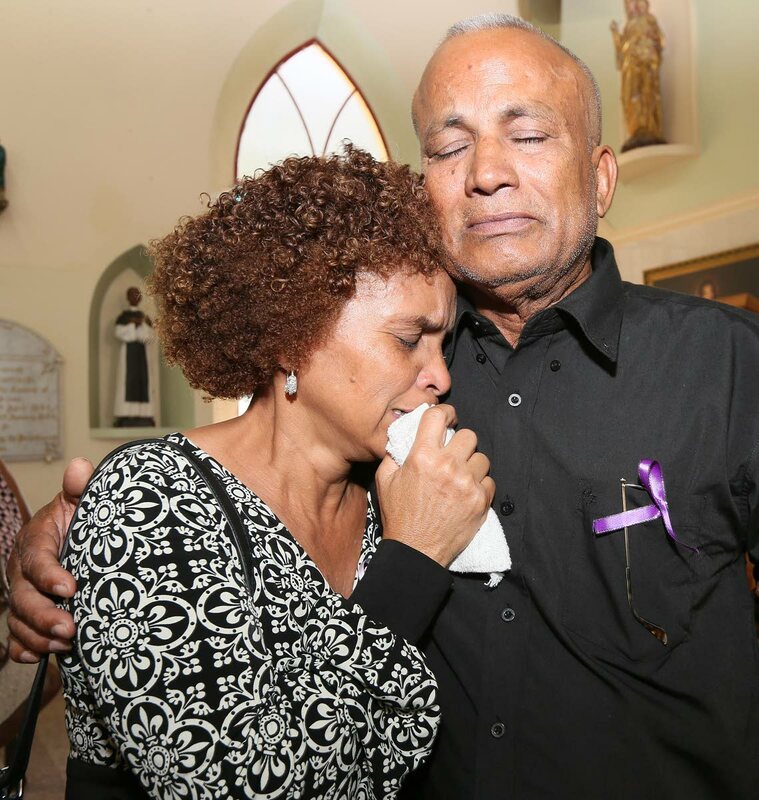 The animal joined dozens of mourners at the Santa Rosa RC Church in Arima for the funeral of Christine Chuniesingh, the UTT student who was strangled on April 3. Her alleged killer returned to court on Tuesday to answer the charge of her murder. 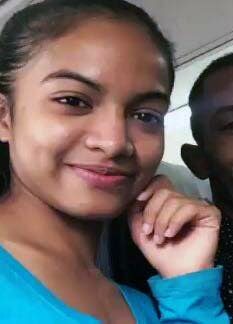 Chuniesingh was strangled at her Bypass Road, Arima home. The 20-year-old was a part time student who aspired to be an airline stewardess. Adriana Sandrine Rattan, president of the International Women’s Resource Network whose writings are featured in Newsday, appealed to the public to let Chuniesingh’s murder be the last female death by violent action. She is the 13th woman killed by domestic violence for 2018. “Stand up against anger and possessiveness. When you are silent you are giving abusers more power. Men, if you want a woman treat her like a queen and not like a floor cloth. Do not use a knife or a gun because your manhood is crushed for life,” Rattan said. She said Chuniesingh was embarking on a new life and was looking for new love. She urged mothers to nurture their sons and recognise their anger against their sisters and even them and fix it. “She was murdered by someone who did not love her, but who was obsessed with her. Pull out a page from her book and see what she went through,” Rattan said. Lay Minister Stephen Sohun was quite frank about the effects of Chuniesingh’s death. “Are we prepared to continue living like this? I am being affected every day by what is happening. A young man is now housed in a 12 by 12 prison cell with no freedom, but you bad. Wake up because death becomes all of us. Maturity is a state of mind of what we are doing. Throw the key outside and wake up and take responsibility,” Sohun said. He said some parents wanted to stop sending their sons to school, saving their money “fattening” their pockets. Reply to "Tearful send-off for Christine"